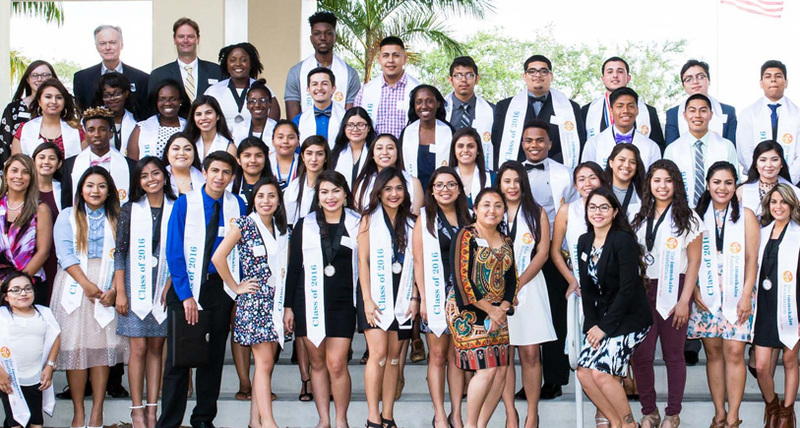 The Immokalee Foundation recently held a graduation ceremony and celebration at Ave Maria University to honor 98 high school graduates who have participated in TIF programs. The graduates included 61 Immokalee High School students, 23 post-secondary students, 12 iTECH Heavy Equipment Mechanics students and two iTECH Computer Numerical Control Machinists. 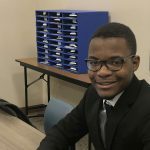 The students participated in one or more of TIF’s programs during high school, including Take Stock in Children, Career Development, Immokalee Readers and College Success. One of the post-secondary graduates, Kristen Dimas, was the first TIF student ever to graduate with a doctorate. Dimas completed her M.D. at Florida State University’s College of Medicine. The high school graduates will attend a variety of colleges in the fall, including Florida’s public and private universities, Michigan State University, Cornell University, Iowa’s Wartburg College and St. Ambrose University, Minnesota’s College of Saint Benedict and Saint John’s University, and Allen Community College in Kansas. Those students from TIF’s Take Stock in Children program will start their college careers with two or four years of tuition paid as the reward for fulfilling program commitments including maintaining good grades, exhibiting exemplary behavior, providing community service and working with a mentor. Ana Abarca graduated in May from Florida Gulf Coast University with a degree in secondary math. She will be enriching her hometown by returning to teach math at Immokalee Middle School in the fall. She is grateful both for the scholarship she received that allowed her to attend college and also the support from TIF staff. “They helped me get through college, whether I needed advice or help academically,” Abarca said. Among other post-secondary graduates are students with degrees in business, international studies, nursing, community health, hospitality management, economics and accounting. One student, Fritz Henry, is a future law enforcement officer and a graduate of Valencia College School of Public Safety in Orlando. 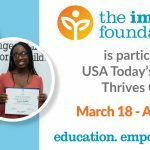 The Immokalee Foundation provides a range of education programs that focus on building pathways to success through college and post-secondary preparation and support, mentoring and tutoring, opportunities for broadening experiences, and life skills development leading to economic independence. 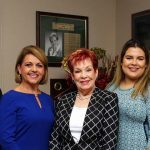 To learn more about TIF, volunteering as a mentor, making a donation, including TIF in your estate plans, or for additional information, call 239-430-9122 or visit www.immokaleefoundation.org.